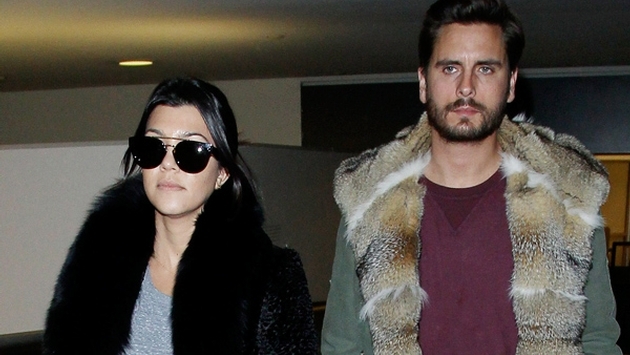 In the March 9 episode of "Keeping Up With The Kardashians," Scott Disick and Kourtney Kardashian took a trip to Tucson, Arizona for two nights to get some "alone time" at Miraval Resorts. And if you're a TV fanatic like myself, you probably felt as though you've seen this place before. It's because Miraval Resorts, where rooms go for $1,000-plus a night, was also featured on an episode of "The Real Housewives of New Jersey" in 2013. "Scott and I went to Tucson, Arizona where I lived for two and a half years when I went to the University of Arizona. We went to spend some alone time at Miraval for two nights which was gorgeous, relaxing and energizing," Kourtney wrote on her Celebuzz blog in December. "We went to the UofA campus so I could show Scott around. We also ate at Frog & Firkin and went to Gentle Ben’s, the bar that we always went to! We had a really unforgettable trip." During their stay, Kourtney and Scott took part in the challenge course, designed to help you step out of your comfort zone and learn to trust each other. Taking part in the "Quantum Leap," as Kourtney and Scott did, will cost you $35 for two hours. Later on in the evening, Scott and Kourtney also took part in a "Talking Circle." During this activity, an eagle feather is passed to each person, allowing them to share their thoughts and ideas while the others in the circle listened respectfully. Scott and Kourtney appeared to enjoy their stay at Miraval Resorts and we have a feeling you will too! This wellness luxury spa resort is dedicated to opening eyes, minds and hearts. If you're considering a special getaway with loved ones, you should definitely consider Miraval Resorts!